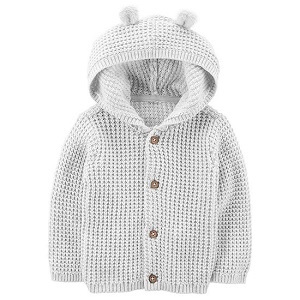 Bring home baby in style with our baby clothing sale! Kids grow quickly, and that means the clothes you bought a few months ago just won’t fit. 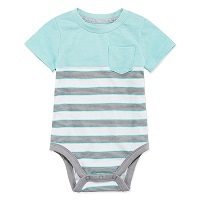 Find everything you need to keep your darling baby decked out in the latest and greatest gear. We have a massive selection of shirts and top from Carter’s, IZOD, Oshkosh, and many more brands. One pieces are always great to have because they are extremely versatile. Create a complete outfit by matching them with a pair of pants or skirt. Remove the bottoms when you get home, and let them crawl around the house for the rest of the day in the one piece. Bibs get a lot of wear and tear because you use them multiple times a day, every day. Toss out those old worn out bibs, and fill your home with a ton of adorable new ones. Shop for cute colors to match outfits and rotate. 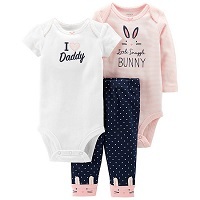 Save big on pajama separates and sets, featuring footed and one piece pajamas. Your wallet will love the baby clothing sale in the baby department. Start saving today! Grab fashion-forward clothing at the toddler clothing sale. Cute tots deserve cute clothes! Get clothes for every season and occasion. There are t-shirts galore in this sale. Stock up on a ton of shirts that you can swap out when your kiddo gets a little messy. All of the brands we carry feature mix and match separates, as well as complete outfits. Some of these sets even come with matching socks. Create a neat gift basket for your toddler with Disney clothing. Select several sets of clothing and pajamas. Then put in a plush doll and costume of their favorite characters in it. This gift basket idea is great birthday, Easter, and Christmas. Or simply give them the basket as a way to say, ‘You’re awesome!’ Their little face will light up with joy once they see what’s inside of it. Checkout the toddler clothing sale in the baby department, and pick up clothes your toddler will love.